Miss the first part of this list? Start here. The second part of this list might be a little unexpected. When you’re facing a group of students who are ready and waiting for their lesson, it’s imperative that you are completely prepared. And, as you can imagine (or know from experience), this doesn’t look the same as preparation for a private lesson. Get these elements right and you will be ready for group lesson success. 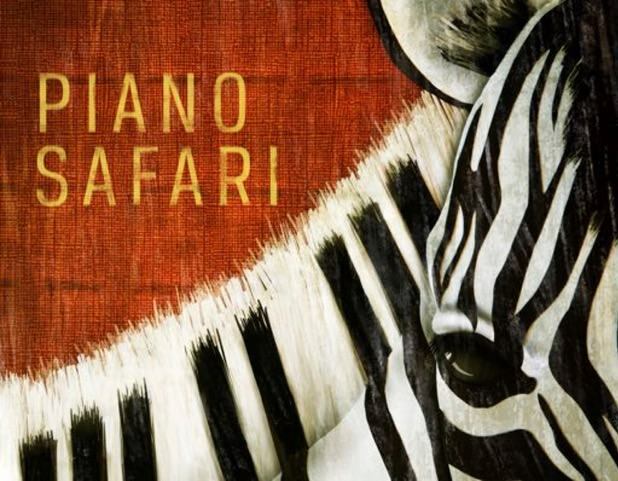 The Piano Safari method has become a popular standard among piano teachers. Students develop strong technique and playing skills, quickly learn to think and play creatively, and become strong note readers. I have yet to find another method that grows my students into such strong and confident musicians. I use Piano Safari with all of my young group students. Whether we're playing the rote pieces, improvising, clapping rhythms, or sight reading together, Piano Safari works beautifully with teams of young musicians. Piano Safari also makes my life as a group teacher easier, since the entire lesson is easily planned using Piano Safari materials and activities. I don’t need to spend time sourcing additional material or preparing other games unless I want to do so. And, as a bonus, there is a full set of reminder videos on YouTube to assist parents in the home practice of rote pieces. Best of all? My students absolutely adore their Piano Safari music. They love playing their rote pieces, they are proud of their compositions, they eagerly sing the lyrics to the songs, and they can’t get enough of the sight reading cards. I love the musical confidence I see in my Piano Safari students. I’m eagerly awaiting the release of their method for older beginners next month. Casio Privias are favorites with my students. Before moving to group lessons, I had an acoustic piano and an electric piano. To get my studio ready for group lessons, I needed to add instruments that would both maximize my space and offer a quality playing experience. After doing a lot of research and talking to other group teachers, I chose the Casio Privia PX-160. The Casio Privias are easy to move around my studio. They are also easy to transport (I removed the keyboards from their stands and transported them in the back of my small SUV to our recital venue this spring). Despite not weighing a lot, the Casio Privia is a solid keyboard. It withstands many an energetic glissando (Piano Safari LOVES the glissando!) and doesn’t shake when played by - ahem - an excited 3rd grader. The Privia is straightforward, and students aren’t distracted by a lot of fancy buttons. The keys are nicely weighted, and I was amused to discover that most of my students choose to play the Privias over the acoustic Kawai and Yamaha Clavinova. You can find the Casio Privia on Amazon, but I’ll be honest: I purchased mine through a local dealer and would encourage you to do the same. The dealer was great to work with, gave me a special rate as a music teacher (I paid less than what you see on Amazon for a similar package), and delivered the keyboards to my studio at no additional cost. Bonus tip: I pair the keyboards with my favorite footstool. These easily slide over the pedals, or I can set the Privia pedal on top of the stool (Piano Safari frequently uses the pedal). The footstools have been well worth the investment and accommodate every age I teach. The Audioengine A5+ Wireless speakers are my favorite for lifelike sound. Some of my favorite groups are my teen students. We focus heavily on theory, putting it into practice with chord charts from their favorite pop songs. I keep an up-to-date playlist of their favorite pop songs. I’ll choose a new song or two each week and make a chord chart for each song in the original key. In their lesson, I will take them through the chords for the new song. We’ll identify the key and each chord’s place within that key. Then things get exciting. I turn on the studio sound system and crank up the volume. I have my phone or iPad paired with my sound system, and we’ll play along with the band. We start with the bassline, then add chords, then change the patterns to fit the style of the song. Playing along with a band is a thrilling experience! My students love it. The thing that makes this sound realistic is having a good set of speakers set up in my studio. My favorites are the Audioengine A5+ Wireless speakers, because the the low, mid, and high ends are all crystal clear. That means the sound is extremely realistic and lifelike. You’ll find yourself sneaking back into the studio to play along with YOUR favorite band once your students are gone. The Audioengines are fairly small (bookshelf speakers) and are quite beautiful. Ours are bamboo, and they come in several other elegant finishes. One of the coolest features: they have a bluetooth connection, so there’s no need to run a cable from your phone to the speaker. I can’t take credit for finding the Audioengines. Before his life as the Studio Rocket Web Design website wizard, my husband was an audio engineer. Jeremy keeps my studio outfitted with incredible sound, and all I have to do is remember how to turn everything on. That said, one of the things I love about the Audioengine speakers is that they are simple to connect and use. I’ve completed the entire setup myself in just a few minutes, as I’ve taken them to other locations for large studio group events. How Do I Fund Studio Purchases? By now you may be thinking: these look like great studio tools, but how am I supposed to fund purchases like these for my studio? I set an annual enrollment fee, payable in the spring when enrollment opens for the coming year. I keep those funds in a place that's separate from my tuition income and use them to invest in music, supplies, equipment, resources, rentals, professional development, and studio upkeep. This keeps me from having to choose between investing in my studio and paying my bills. It allows me to make wise decisions based on what's best for my studio rather than on my personal financial situation. Finding a way to invest in high-quality group teaching tools will help to ensure that you and your students have a fantastic group lesson experience. It's well worth finding a sustainable way to regularly invest in your studio. As I’ve talked with many teachers about their websites over the past few months, I’ve heard a number of questions about group teaching. What questions do you have about teaching piano in groups? Do you already teach group piano? What are your favorite resources and tools? Important note: This pair of group teaching resource posts is not sponsored by any of the companies or products I’ve featured. These are my personal opinions and I do not receive money for recommending these resources.